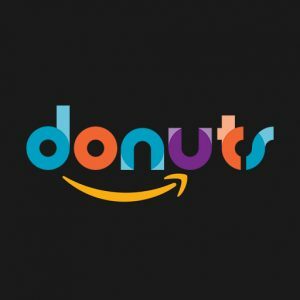 Donuts, Inc., a multi-discipline domain Registry, is allegedly acquiring uber-retailer, Amazon.com. The astronomical deal, pending approval by the Donuts, Inc. shareholders, involves $1.5 trillion dollars in new gTLD valuation, company stock and all the cash in the corporate cafeteria’s register. The sale of Amazon.com to Donuts, Inc. represents the single biggest transaction in human history, far exceeding the sale of 2 goats by Abraham to his sons, when adjusted for inflation. Jeff Bezos put Amazon.com up for sale a few weeks ago, by adding a “BIN” button; Paul Stahura, a Prime member since 2001, clicked it and bought the entire company in an “one click” purchase. “We live in exciting times,” said the Donuts, Inc. CEO, Paul Stahura, revealing the new Donuts, Inc. logo. “By acquiring Amazon.com we are able to sell domains directly to millions of consumers that are addicted to Amazon Prime, such as myself. Great things ahead for domain investors, have no doubt!” exclaimed Stahura. Soon, when visiting Amazon.com you’ll be shown a “BIN” button for registering gTLD domains owned by Donuts, Inc.
Congratulations to Jeff Bezos and Paul Stahura for this monumental alignment of human capital. Scott – Thanks, looking forward to presenting more exciting news in the future, whether it’s parody – such as this one – or real.